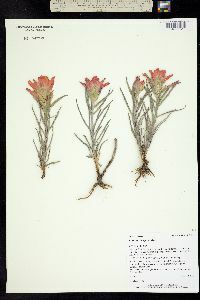 Castilleja integra is the most common middle elevation Indian Paintbrush in the Gila National Forest. 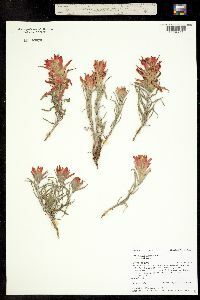 Higher up, one finds Castilleja austomontana, and in the desert areas there is Castilleja lanata. 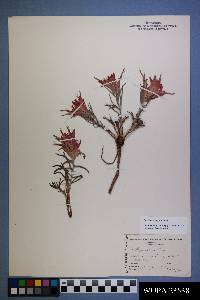 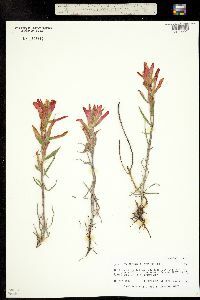 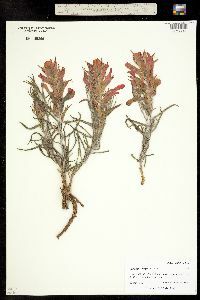 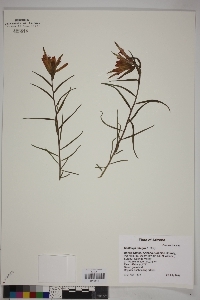 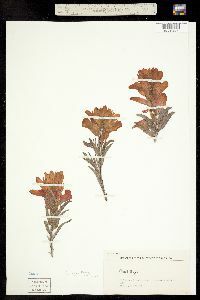 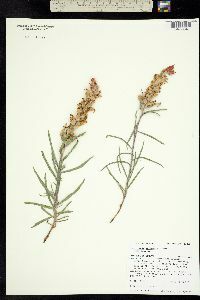 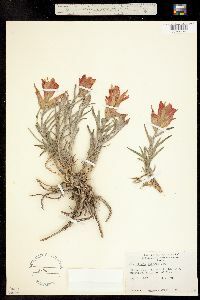 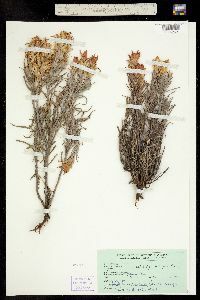 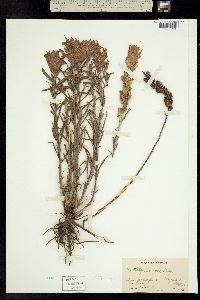 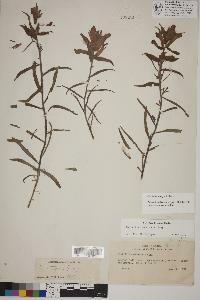 Castilleja integra has leaves that are glabrous on the upper surface and tomentose on the bottom. 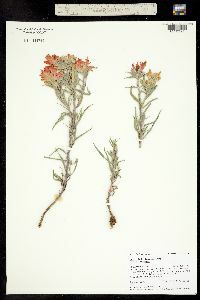 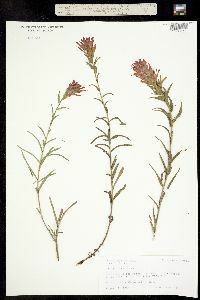 It is a perennial with stout stems and linear leaves. 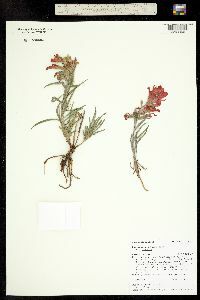 The floral bracts are red.